In June 2016, Sandra Woodhead Lyons presented Recreation Services in Continuing Care: The Voices of Recreation Staff at the Our Future is Aging: Current Research on Knowledge, Practice and Policy conference in Halifax. On February 9th, Sandra Woodhead Lyons presented results of the study to Alberta Health, Continuing Care Branch and to NorQuest College. 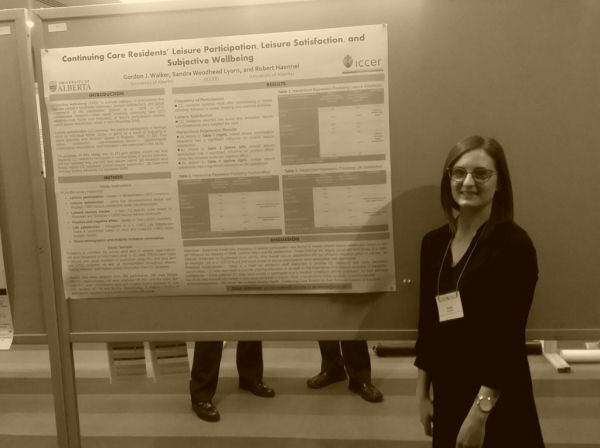 On 24 October 2015 ICCER’s Emily Dymchuk filled in for Gordon Walker and Sandra Woodhead Lyons and presented a poster and paper related to the Recreation Services and Quality of Life study. These are found here. 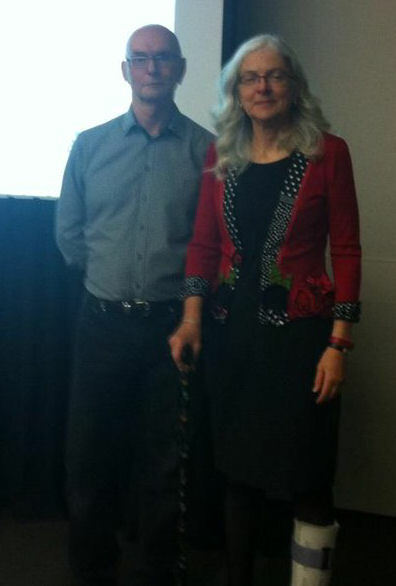 In April 2015 Dr. Gordon Walker (PI) and Sandra Woodhead Lyons (Project Manager) presented preliminary findings at the Alberta Seniors Communities and Housing Association’s annual conference. A copy of the presentation can be found here. In 2014 a team of researchers led by Dr. Gordon Walker and Dr. Robert Haennell (University of Alberta) received funding from Alberta Health to conduct a study to examine recreation therapy activities in supportive living and long-term care facilities in Alberta. Basic information on the study can be found here.